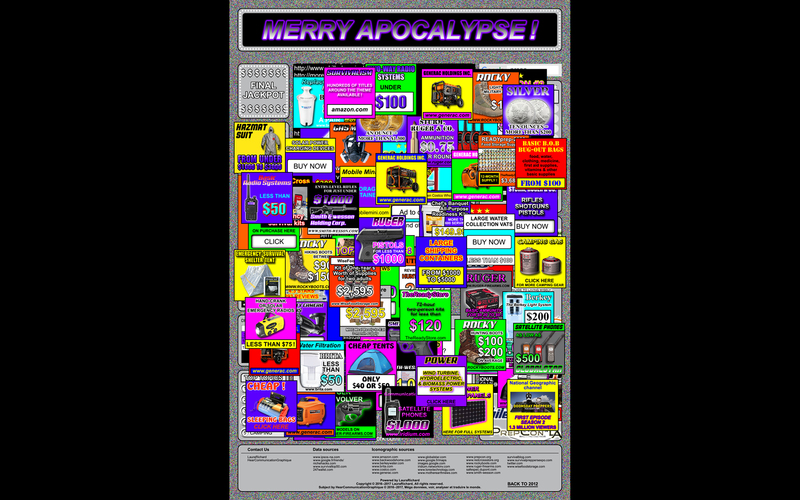 LAURA RICHARD » MERRY APOCALYPSE! End of the World 2012. Between folklore and existential fear, the belief that the World As We Know It is about to disappear spread across networks. More and more people prep for the collapse and the survivalist movement shoot up. Industries worm themselves in Web communities, making money on fear and credulity. This animation shows this phenomenon through a satirical approach. 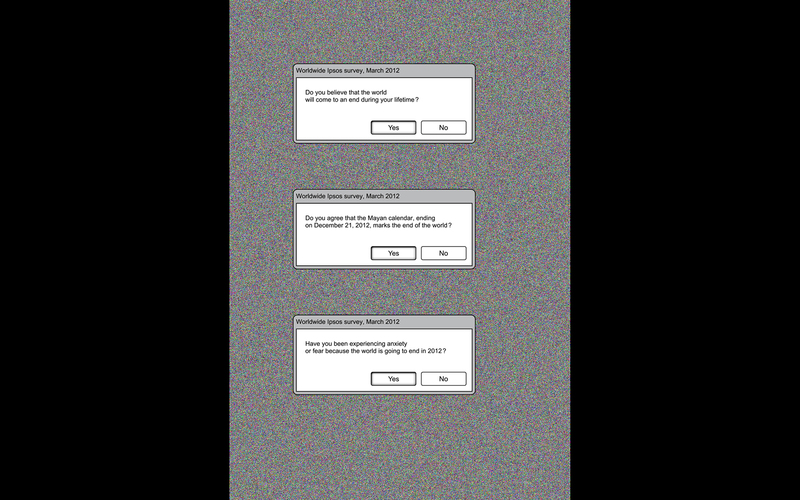 It presents data collected across the Web, especially survivalist blogs and ads, by parodying their own codes. The visualisation takes gradually the form of a blog. Data are added on each other as the spectator is getting closer: fear and credulity are successively hidden by Internet buzz that feeds them and Web marketing that uses them. You need to move back to uncover information under ads.